I missed my friend’s funeral. But I did have time to meet up with my friends after the funeral at two different bars in my hometown in Upstate New York. After teaching my summer course in Existentialism, Art, and Culture, I traveled in from Toronto. As I drove down, I reflected on how my friend Aaron was a larger than life person; he was a cross between Chewbacca and an upstate New Yorker who liked to hunt, fish, drink, and play football. His laugh was unique and unmistakable. And his warm, large, and humble presence was unmistakably delightful to be around. He was, as we say in Yiddish, a mensch who would always lend a helping hand. His death was untimely; it took us all by surprise. Being taken by surprise, we were all left absent minded. In fact, one of things I couldn’t help but noticing is how we had, as Adam Kotsko says in his book Awkwardness, no norm that could help us to deal with his passing. So, in the absence of any publicly known practice of mourning, what did we do? What happens when religion is not a common bond? Before leaving Toronto, I noticed that one of my friends, who was in attendance of the funeral I missed, declared on facebook that he was avowedly an atheist. When I arrived at the after-party, I was surprised to hear that the father of my friend who died talked at great length to this person and at least fifty others (who didn’t have a strong religious orientation) about God. He declared, openly, that we was “born again” and that they should be too. He chastised them for being sinners. Apparently, from what I was told, he said nothing about his son and everything about sin, Jesus, and his rebirth. He did this for at least forty minutes. And, following him, there were two Evangelicals who did much the same. Shouting Jesus and salvation at everyone. My friend who posted his atheism on facebook apparently had enough and, at the point of bursting, he confronted the father. But before anything could break out, another friend intervened, took the microphone from the father, and spoke about our common friend. When I arrived at the party, I heard all of this. I spoke with many friends and, strangely enough, while I was talking at length with one of my friends, I wasn’t aware that the others had gone on to another bar to continue the after-party. Once I noticed that everyone was gone, I looked up and saw that me, the friend I was talking with, and my friend’s father were the only people left at the bar (besides the bartender and a few locals). When we got up to go, the father asked us to help him put the food from the funeral after-party into his car. Although he claimed he hadn’t been drinking, he seemed to be very drunk. I asked my friend if he was ok, and he told me that “that’s just the way the father is.” I was astonished by his sheer absent-mindedness. I felt as if he was performing a comedy routine or some kind of performance for all of us. He would shuffle back and forth to the refrigerator, scream at it, ask us to get things, and then go back to his car which was blaring with Christian music. He repeated this routine although we insisted everything was in his car. Its as if he had to prolong some kind of performance for us. I felt very awkward carrying food which he cooked but no one ate. To be sure, he had cooked large pots of macaroni that were untouched. Another friend of mine made sauce, but he missed the funeral and the after-party. It was ‘as if’ the missed encounters found their emblem in a large amount of wasted food. Everybody seemed to be missing their cues. Since he was acting so much, I decided to play around with this situation. I wanted to test it out. So I would say, in a loud voice, that this item was his and this wasn’t; the haggling over items lasted a while. But I didn’t want to continue this game which seemed would go on ad infinitum. I managed to slip out with my friend to the other bar. At the bar, I was pulled to the side and asked by a friend if I have anything comparable in the Jewish tradition to being born again. Then he told me that my friend’s father was more “crazy” than my own. In truth, my father was known to have done some odd things in my small town. News travels fast; and as a child I remember how these things caused me great pain and embarrassment. Mentioning them reminded me of how I would feel estranged about my father’s “ridiculous” behavior. It all came back now with these comments, but my other friend told me that this guy, basically, was a bigger schlemiel. All of this took me by surprise. Was I supposed to feel better about my father and my life and to think that I must be fine now that I know someone else is a bigger fool than my father was? I didn’t know what to say. Although he tried to make me feel better by thinking that this guy is worse, I felt great sympathy for my friend’s father when I saw, all of a sudden, the father show up at the bar. He literally showed up in the midst of our conversation. I watched the father go in the bar, I talked to him about Aaron, and he produced a few gestures that his son would make about a calendar, which he took out of us car to show us. He told me that he wanted to give his son this calendar with scantily clad women in front of sports cars. I couldn’t understand why or even how this would be on the mind of a father who has lost a son. It didn’t make sense. But, at the very least, it made him happy to think of what his son’s reaction to the calendar would be. In the midst of my astonishment at these absent-minded comments, I was asked by a friend to go on stage and perform a tune with him. My friend was familiar with a few tunes I have written and thought it would be a proper tribute to our friend. After tuning up and readying myself to play, I announced that every song I was singing was dedicated to my friend. While saying this, I thought to myself how transitory and arbitrary this tribute is. But I cast aside this thought. It had to be done. I had no ritual to participate in save…doing what I enjoy doing in the name of a friend who has passed away in such an untimely manner. The father sat and watched as I played, but I’m not sure if it reached him. And I’m not sure what difference I made. I felt as if I was in a bar with a bunch of people who had some connection to our friend who had died, but the eulogy, the party, and all else seemed to be ad hoc. We had no norms to guide us. We had no religion. And though the father did, it was disconnected from us. Something was profoundly wrong. Regardless of this, my friend told me that our dead friend would be happy knowing that I played a tune for him at a bar. That is what he would want. A party not a Eulogy about being born-again. After hearing this, I looked around and it struck me that my whole town was taken surprise by a world that was stripped away from us by a bad economy. 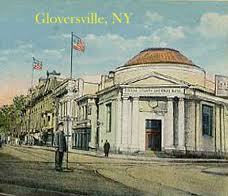 The city I played in, Gloversville, New York, has the highest unemployment rate in New York State (25 %). It used to be a great hub for the production and distribution of gloves and leather. When I was growing up, I could smell leather in the streets. Money was abundant; people were at work. And as they say, the bars were packed after work. There was happy hour every day. But, before we knew it, that disappeared. We were hit, taken by surprise. We had no norm to guide is post-mortem and could not mourn our loss. All of this was awkward. And this after-party, the father, my song, all of it happened in the midst of a time and space that was awry. It was a distinctly American awkwardness that followed in the wake of a lost American dream. It infected everything in the town with questions upon questions such as: What happened? What can we do now? How do we act? How can we live in this world? But these questions were all beneath the surface and, from to time, came up in conversation. The problem, last night, was that any decisions made out of this awkwardness seemed, to my mind, to make no difference for things in general. But, ultimately, my schlemielkeit (my public performance) meant something to a small group of friends while the schlemielkiet of others spun off into nothingness. And that’s what I saw with the father. As he drove off, alone, from the bar, I felt so sad knowing that his awkwardness was translated into something that made people ridicule him. He drove off alone into the American night. But he was not born-again. It seems, from what I had seen and heard, that he was doing the same thing he always did. In the end, after this death, we became living schlemiels and we all went home alone in an awkward absent-minded manner. Even though we tried, there seemed to be no way to dispel this and become conscious. In the face of his untimely passing, we had no norm. However, after leaving the bar, I went to a friends house were me and a few friends played music, sang, and debriefed. And, fortunately, I entered into a conversation where someone was asking the same questions I was. And together we acknowledged that we were all schlemiels and we talked until the dawn about what this means for the future. How would this effect our children? What can we give them if we have no common norms?